On a good day you can’t beat North Wales for its scenery. Unfortunately the weather can be unpredictable, so it was with some trepidation I studied the forecast for Sunday. It looked okay, but you never can tell so I packed arm warmers and a rain jacket just in case. This of course guaranteed that temperatures rapidly rose, the sun turned scorchio and we sweltered as we hit the first hill out of Harlech. A lunch stop in a small community centre – where we competed for chairs with 50 pensioners and their Sunday roasts ( where did they all come from??) 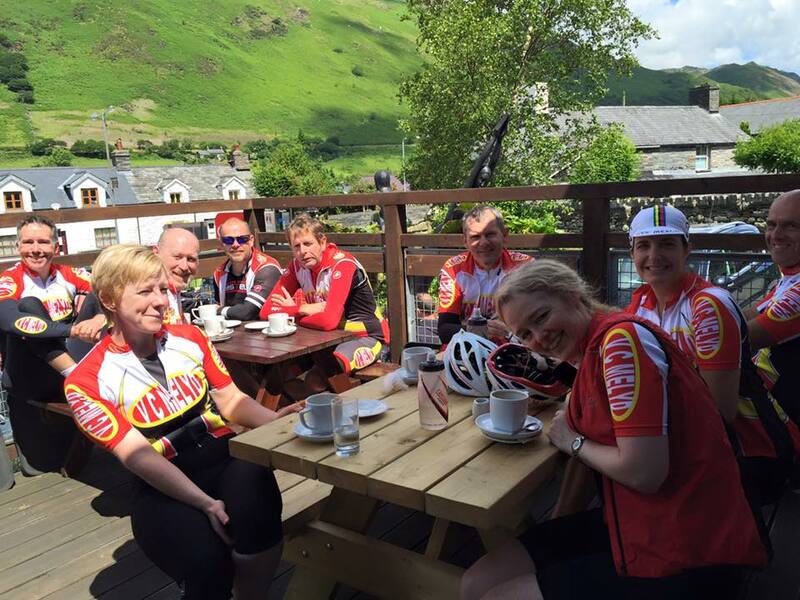 Then off again and up round Cadair Idris – a long climb followed by the most frightening descent I’ve ever done ( a side wind and a speed wobble – not pleasant.) When we regrouped safely at the other side, everyone seemed keen on Mark’s suggestion for a pub stop besides the Mawddach estuary. Views were stunning, beer and chips excellent, and the ducks over friendly. 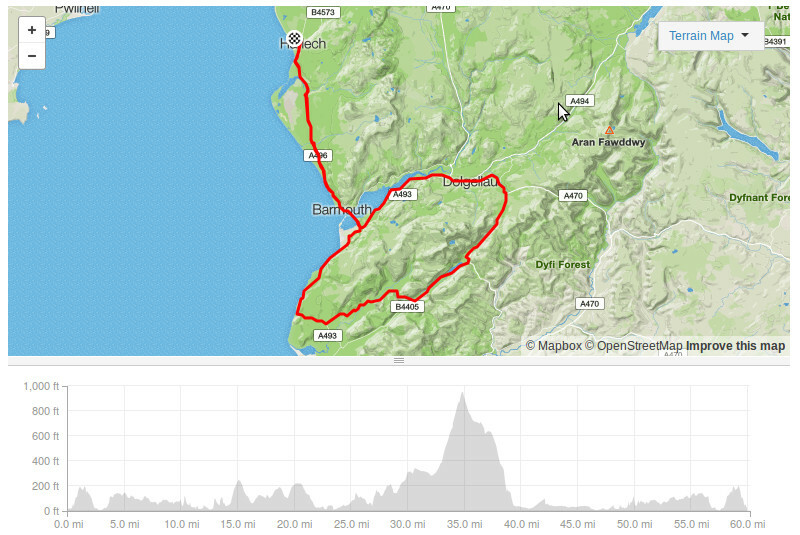 Then a final few miles along the Mawddach trail over the bridge and back to Harlech for a well deserved ice cream.